Family Office | Nicholas Hoffman & Co.
Everything appears idyllic. An affluent mother and father look in good health and are ready to enjoy their well-planned retirement. They have three children, all of whom are successful in their fields of work. There are grandchildren in the family photo at the beach; a photo which captures happiness, prosperity, and accomplishment. So what is wrong with the picture? Nothing at all, except that such an “ideal” family is rare. As a family office, our core mission is to be advisors to our clients and their families. Most people assume that advising is all about money. It is true that all of our clients look to us for advice and counsel on their investment portfolios. But often, and with increasing frequency, a major share of the time we spend with our clients is on matters other than their investments. Addressing family issues is typically not about making money. In fact resolving problems might be expensive. Family dynamics can sometimes be hard to observe, for people both inside and outside the family. But nobody involved should look away. Difficult problems, from communication to education to generational transfers, have to be addressed and resolved. Each family functions in its own special way, but many face a situation where someone wants to go left when everyone else is moving right. A wise client once said to me that money makes life easier, but it does not solve problems. That statement has stuck with me as I have seen wealthy families face problems that are difficult to fix or untangle. For example, many well intended matriarchs and patriarchs of families bequeath their families legal documents in the form of trusts or complex ownership structures. But time is a wicked partner to a neglected plan. Nobody has the crystal ball needed to see how a carefully crafted plan, which makes sense today, will work in ten, twenty or even fifty years time. Families evolve, and their needs can change dramatically and in unexpected ways. The less tangible part of what we do as a family office is help clients improve the financial well-being of their families. This part of our practice is not about managing money, nor is it limited to financial planning. It sometimes feels like acting as a consultant to the family “c-suite”. If truth be told, this is the most difficult, and rewarding, part of what we do. We all know family dynamics can be fascinating and frustrating, not least when brothers and sisters in their fifties still hold opinions of their siblings based on something that happened when they were ten years old. A broker, or an online trading firm, cannot help solve these problems but this area is a core component of expertise within our firm. If, at some point in time, you face a major family problem please remember that your family is one of your most important assets, the management of which deserves the same expertise as your money. 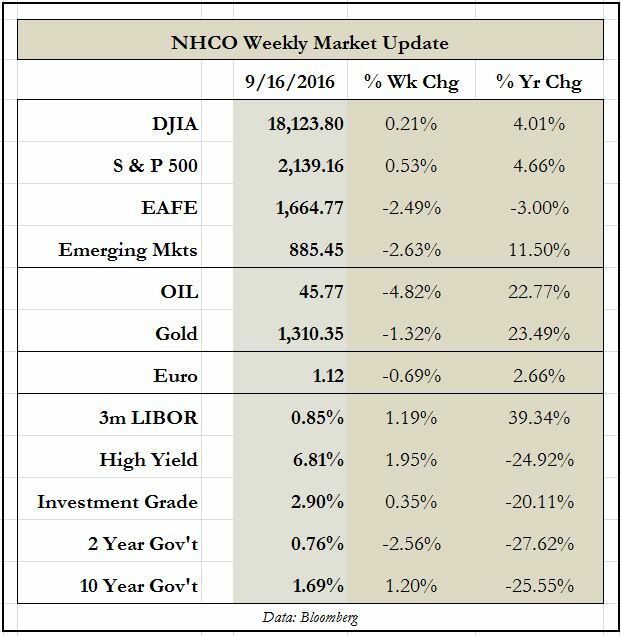 This entry was posted in Family Office, The Weekly on September 19, 2016 by nhoffmanandco.